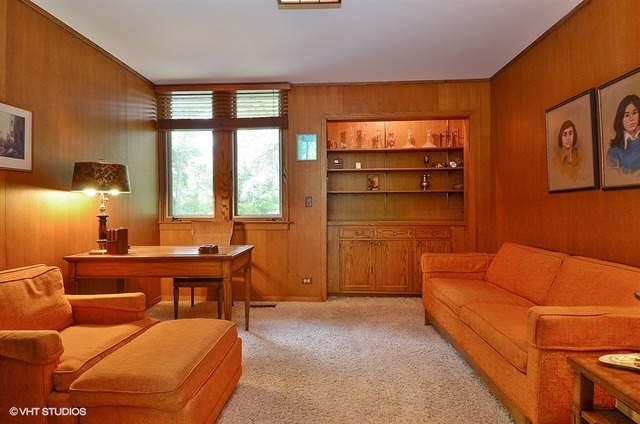 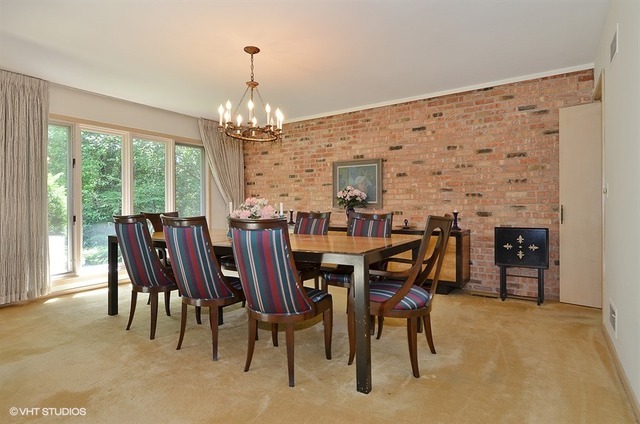 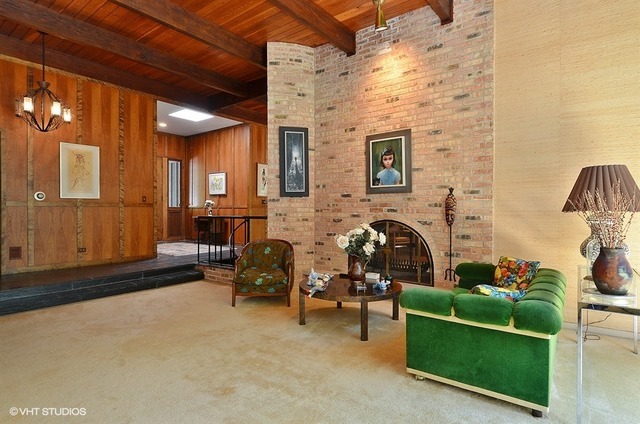 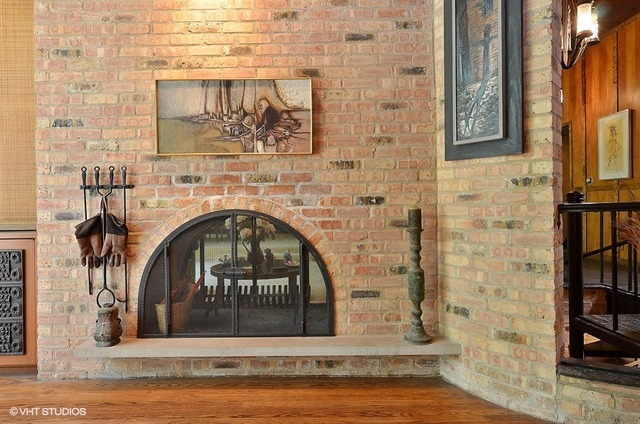 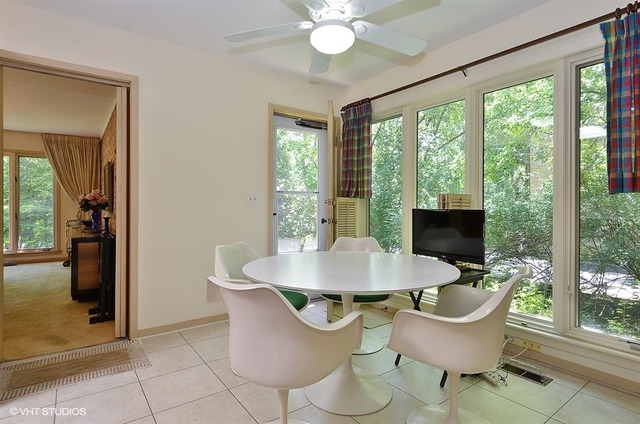 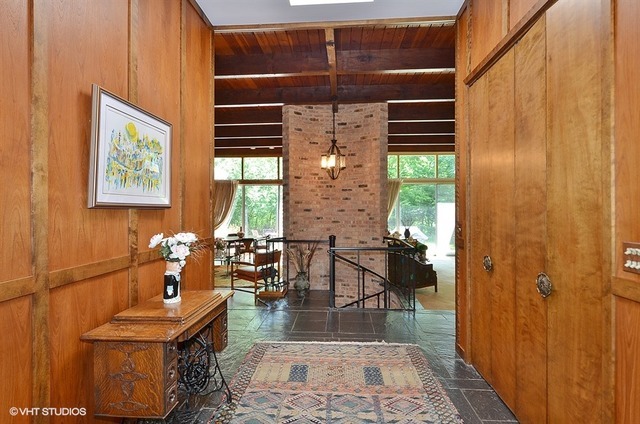 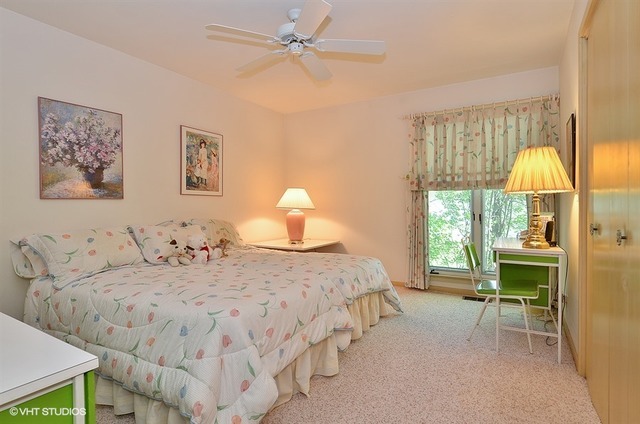 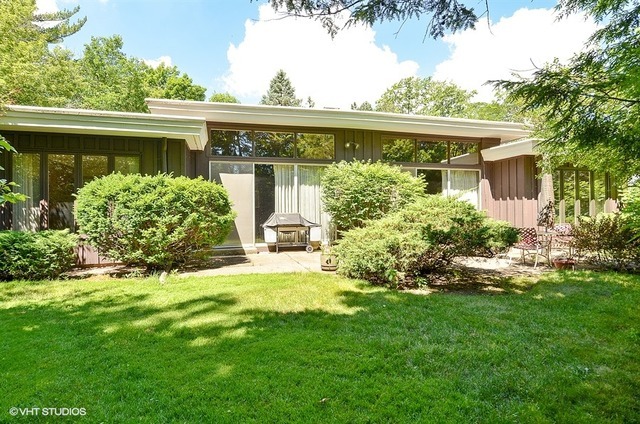 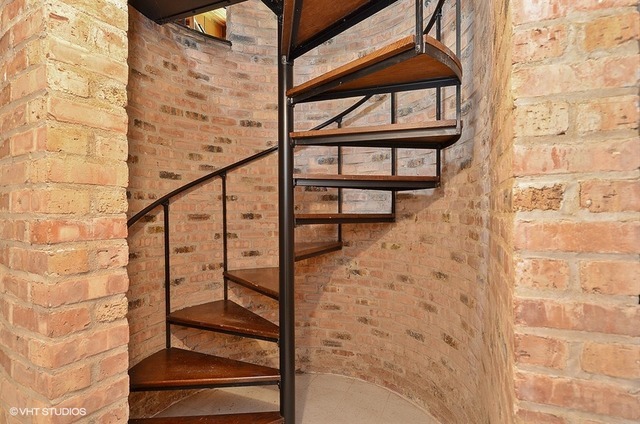 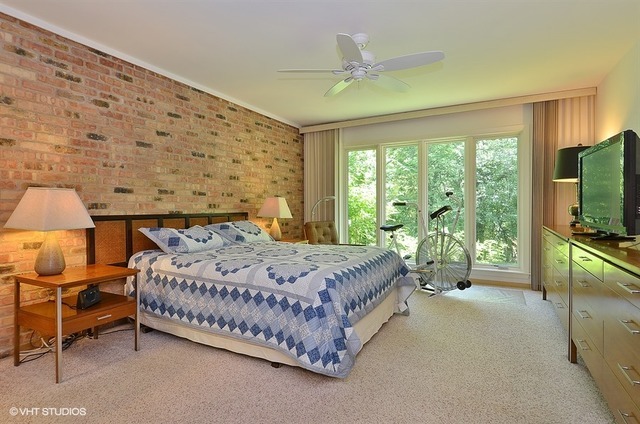 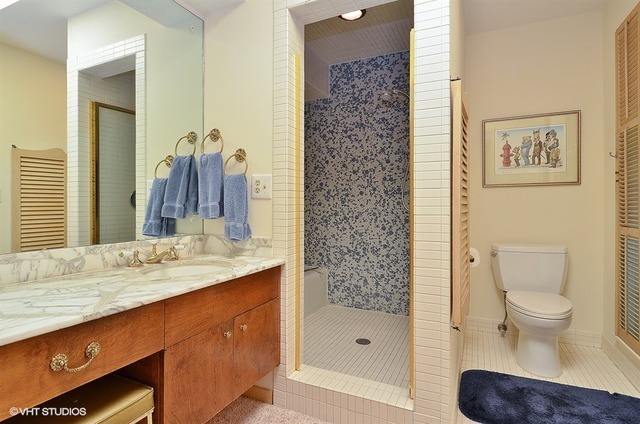 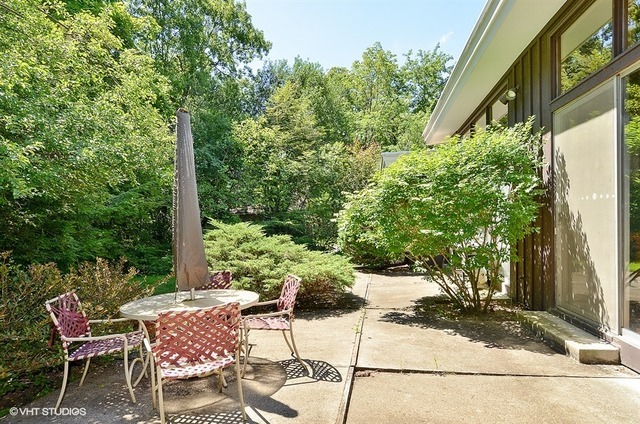 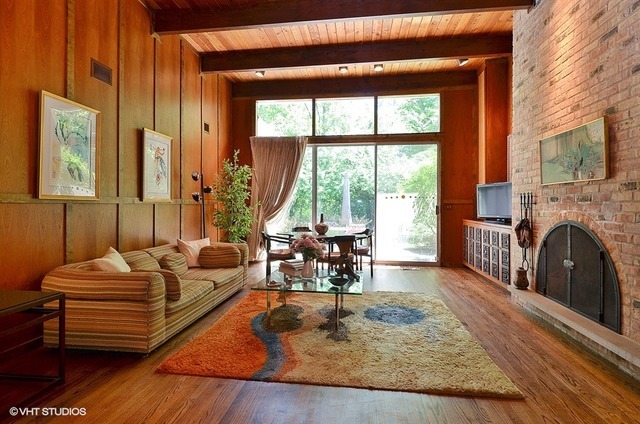 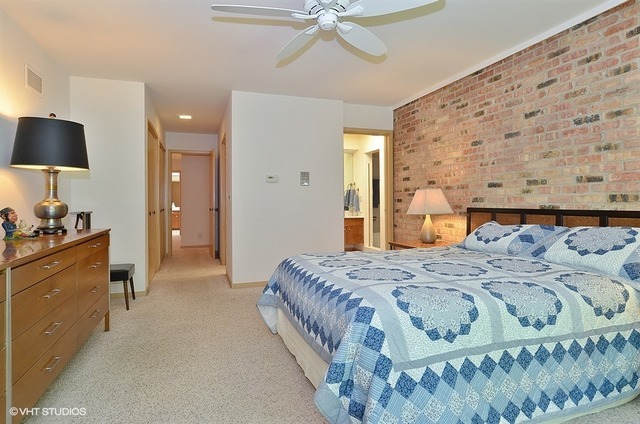 This cool, brick & cedar one-owner MCM ranch recently hit the market. 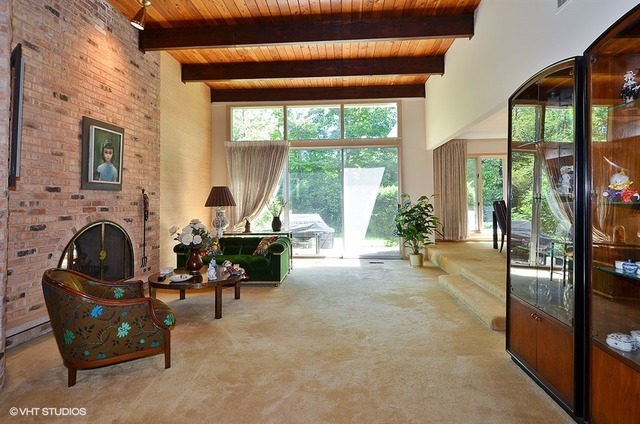 Designed by the firm of Rabin & LeNoble, the house features two large, sunken living spaces separated by a double-sided fireplace, with one being open to the step-up dining room. 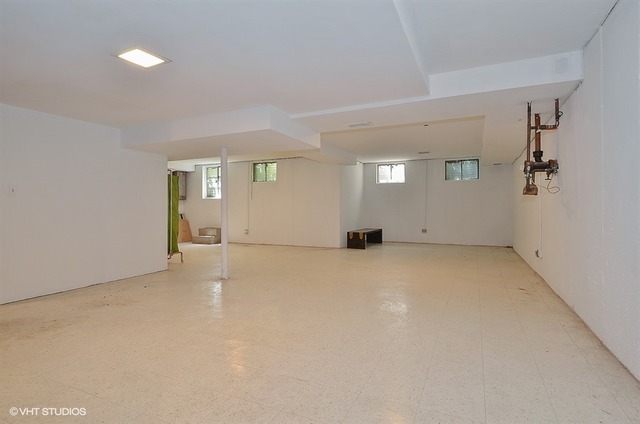 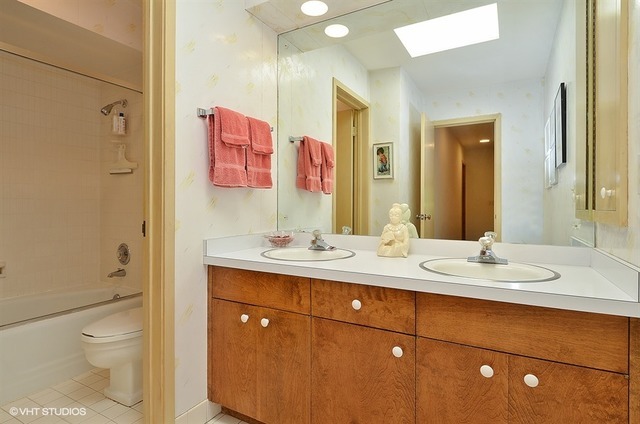 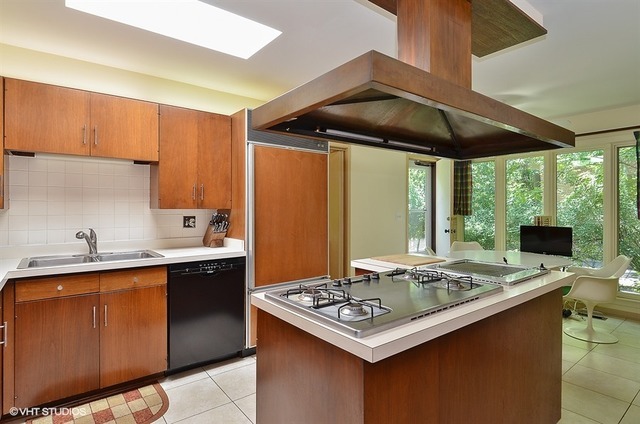 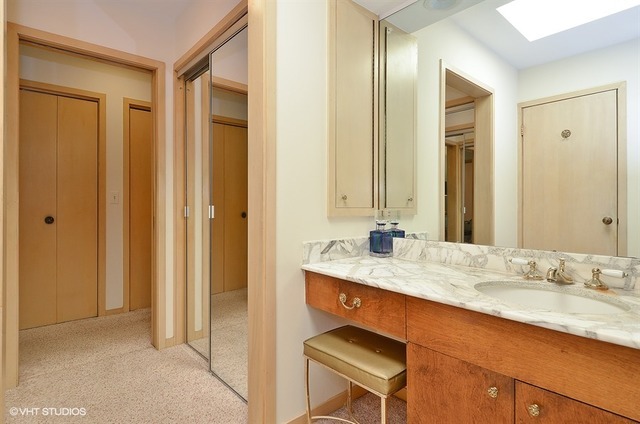 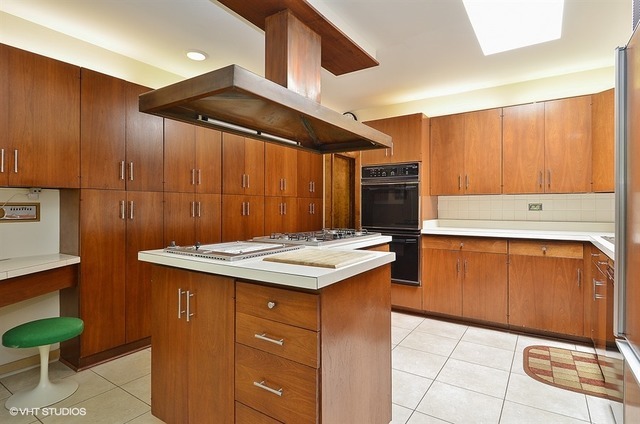 The kitchen is in great shape and a couple of the bathrooms feature terrazzo counters. 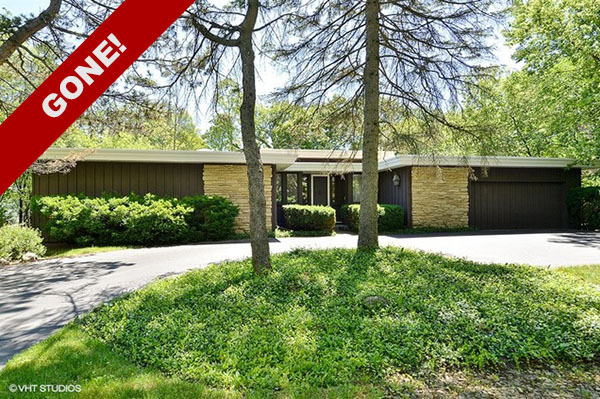 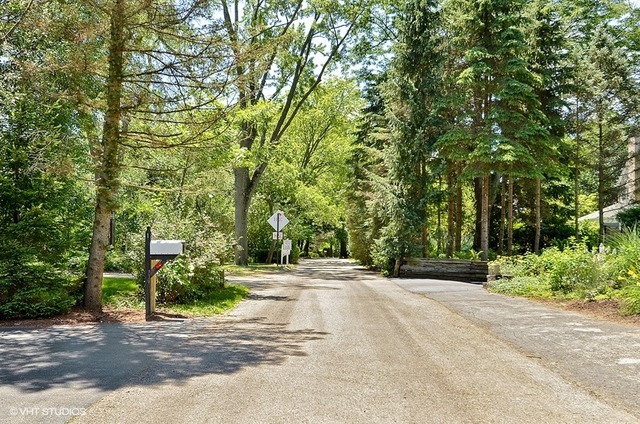 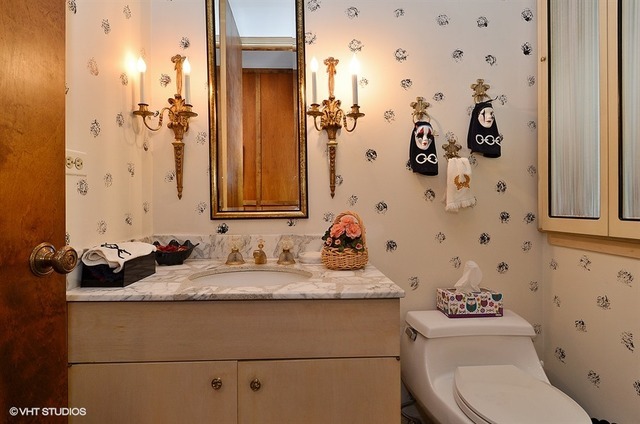 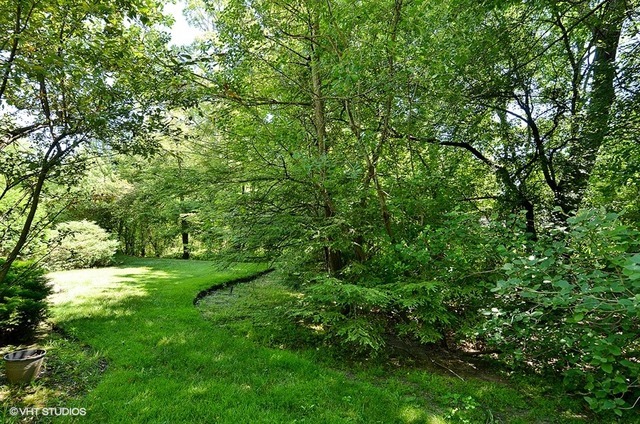 The house sits on a quiet street between Dundee & Shermer in Northbrook. 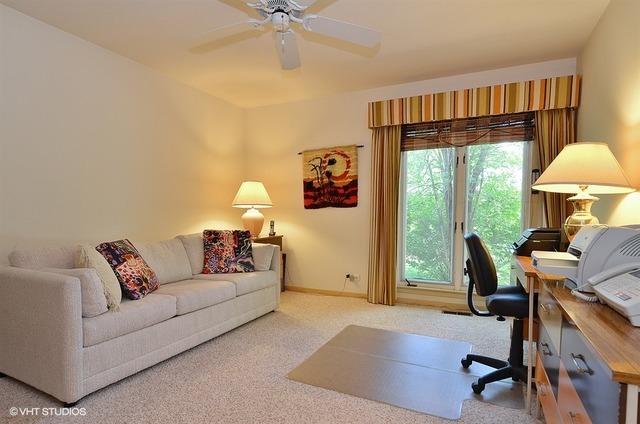 Let me know if you’d like me to arrange a private showing!